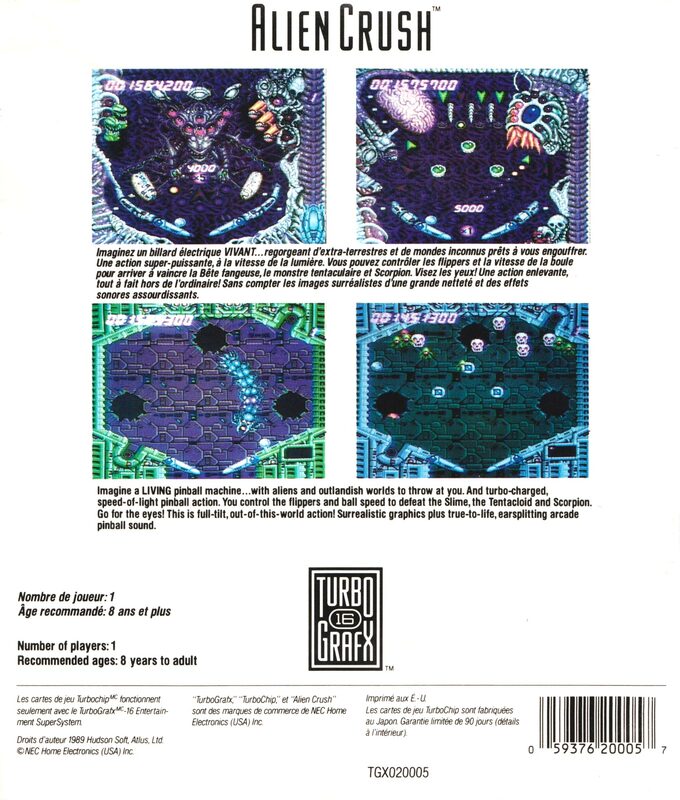 When creating a pinball game, it would have been so easy for the game designers to stick with the conventional realism of the arcades. But what Naxat chose to do is throw out all the rules and make something unique. 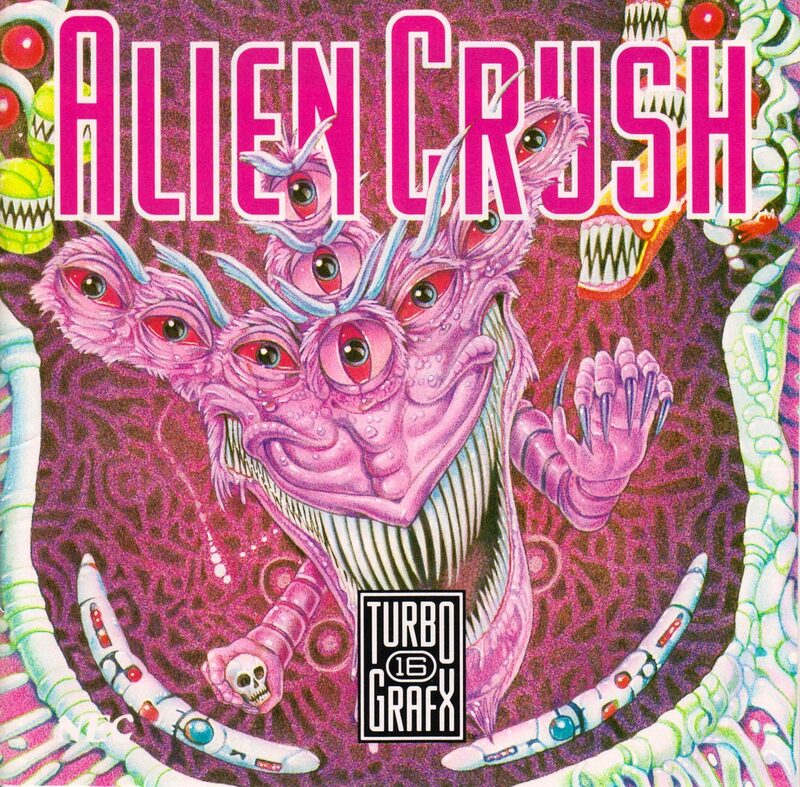 Obviously modelled around the Alien movies, Alien Crush is the first of the new breed of pinball games, supplying elements that a real life pinball game could never match. The play area is two screens high (using a flick-screen mechanism) and is littered with creepy organic visuals, with a liberal dose of colour-cycling to make it feel very alive. The standard pinball elements are here, but there are also moving bumpers and extra targets that wander about the screen at times. There are also single-screen mini games which involve destroying floating skulls or snake-like bugs. 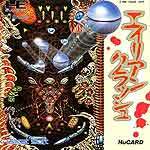 Alien Crush was a major step forward in pinball games. It looks fantastic, with the table both moody and colourful at the same time, making it a joy to play. As well as a fast/slow mode to choose from, there are also two tunes available from the title screen. 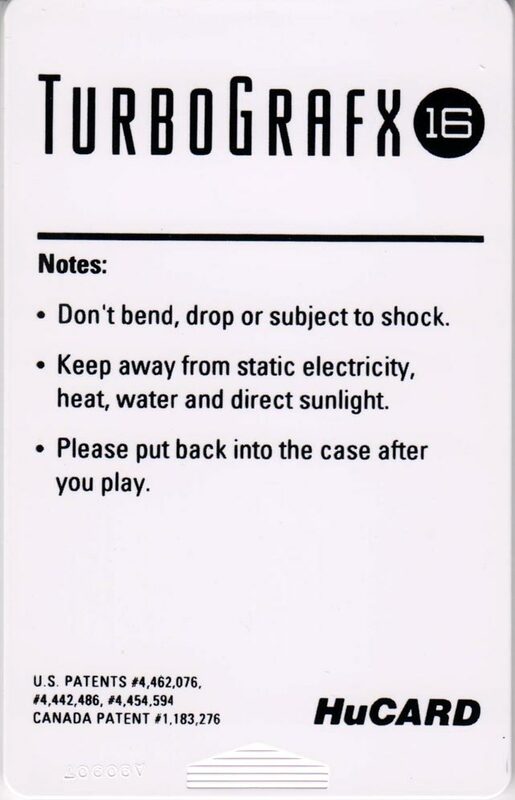 One tune is great, the other inoffensive and considering that you may be playing a table for a long period, it's nice to be able to change between games. In all, it's hard to fault Alien Crush. The flick-screen method can become a tad annoying on occasion, but it's a minor flaw and doesn't really cause any unfair lost balls. Also, it would have benefitted from a few more sub-games to break up the action, as games can begin to drag if you are doing well. It may have been surpassed by the amazing Devil Crash but is still well worth obtaining. 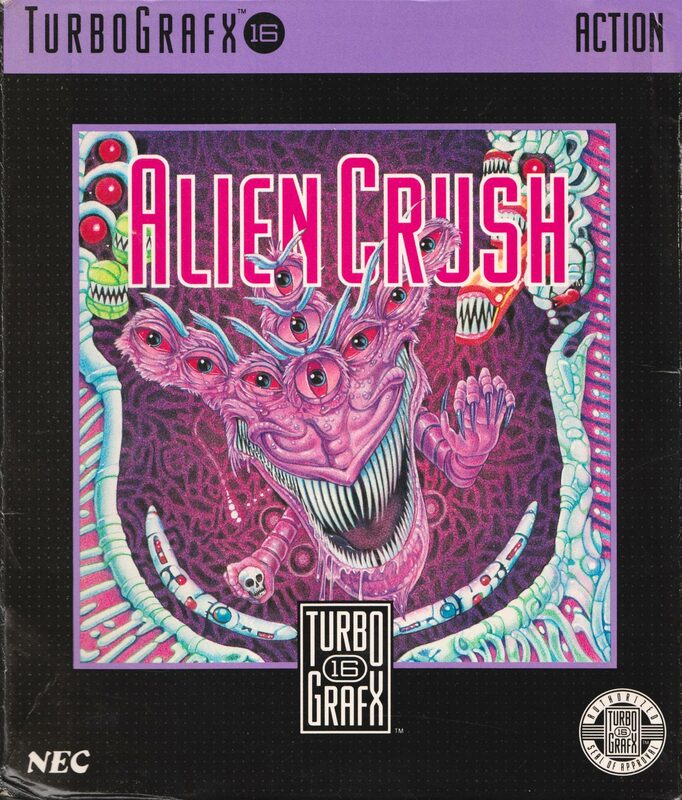 Alien Crush is the first of Naxat's pinball games on the 'Engine, and while not as good as Devil Crash, it's still a decent pinball game, especially for the time it was released. The visuals are obviously modelled on H.R. Geiger's alien, and it's a nice motif. 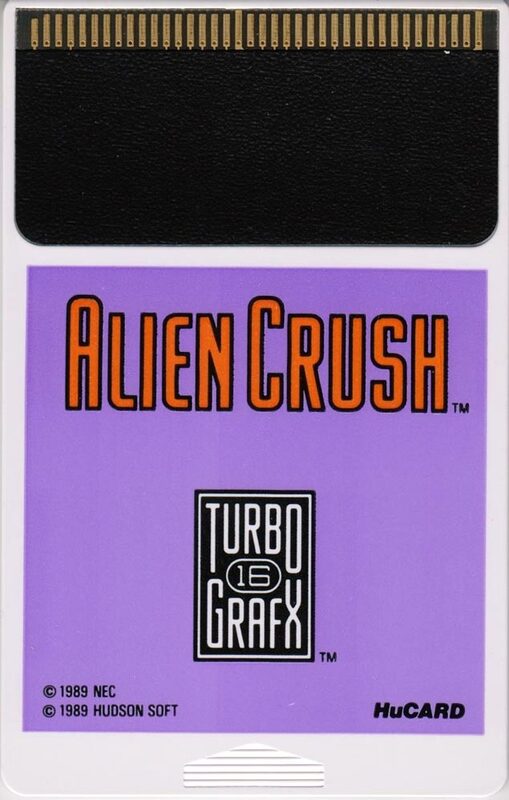 There's really not too much to say about it, other than the fact that Devil Crash overshadows it, being quite excellent to Alien's mere "enjoyable". To view the scoreboard screen while playing, push RUN to pause then SELECT.